Your cultural itinerary includes sights like Bengtskar Lighthouse and Nagu Church. Explore hidden gems such as Bellevue Beach and Tulliniemi Nature Path. 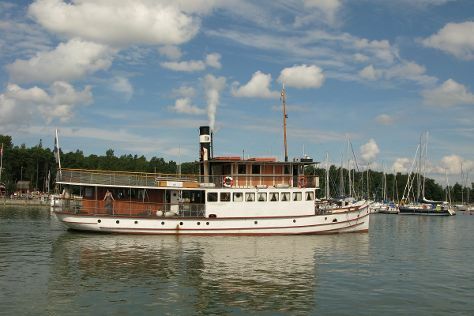 Explore Turku's surroundings by going to Fagervik Museum (in Inkoo), Hanko Water Tower (in Hanko) and Rauma (Rauman Merimuseo - Rauma Maritime Museum, The Old Town Hall Museum, & more). Spend the 16th (Sun) exploring nature at Ekenas Archipelago National Park. Spend the 17th (Mon) exploring nature at Teijo national park. There's lots more to do: stroll through The Archipelago Trail, kick back and relax at Ispoinen Beach and Sauna, examine the collection at Louhisaari Manor, and take in the architecture and atmosphere at St Olaf's Church in Tyrvaa. For traveler tips, photos, ratings, and other tourist information, go to the Turku trip itinerary maker site . In June, daytime highs in Turku are 20°C, while nighttime lows are 9°C. Wrap up your sightseeing on the 24th (Mon) to allow time to travel back home.